Abbotsbury Subtropical Gardens has lost one of its grand old trees, with the poor weather. 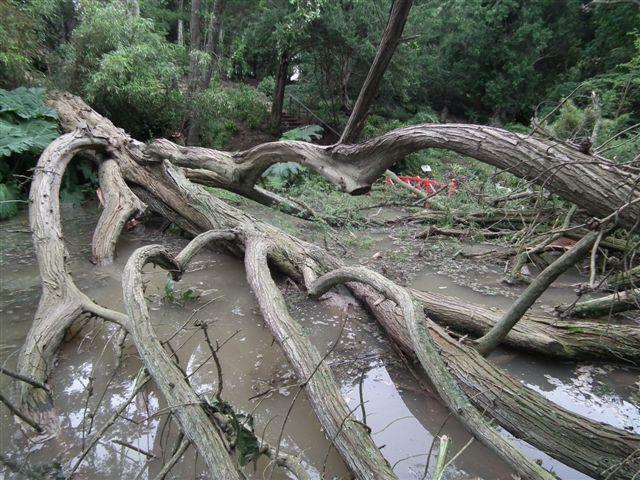 The soil was saturated and they lost some 'top heavy' trees along with all the streamside paths being washed out. The banks and gardens along the stream will be rebuilt, but graceful old giants like this one cant be replaced quickly. The giant tree in the pond is a Cupressus macrocarpa, which was planted in the gardens about 1896.